Steamvac BOSS Truck Mounts will save you money with our innovative design. absence of the pump/motor assembly. All of the Steamvac machines have been made to the highest of standards necessary to meet the constant pressures of a successful carpet cleaning business. All Machines made at SV Equipment are 100% Australian owned and built. Steamvac BOSS Truck Mounts will save you money with our innovative design. We believe that you will save up to 60% on your maintenance costs compared to imported brands. 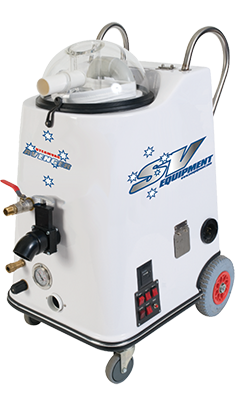 Steamvac steam cleaners have been revolutionising the carpet cleaning industry since 1977 with our portable electric cleaning equipment and truck mounted systems. The Steamvac brand has become Australia’s leading choice of carpet and upholstery cleaning equipment. Unique float valve shut off system for waste tank which gives you better capacity and Greater Protection. for vacuum motors. Built in muffler system for quieter operation. Pneumatics for easier manoeuvrability in tight places. 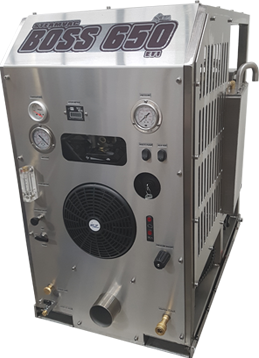 Years of ongoing research and development coupled with continuing modifications of production models within the Steamvac range, maintain three core principles of function, power and portability. 100% Australian owned and built and has become Australia’s leading choice for carpet, upholstery and hard surface cleaning equipment. 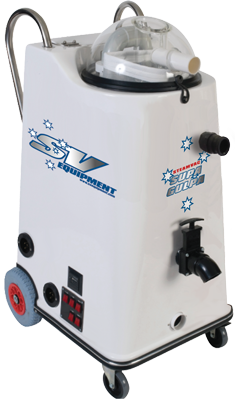 SV Equipment manufactures the most reliable, energy efficient and easily maintainable electric portable and truck mounted carpet and hard-surface cleaning systems on the market today.